For detailed information about all blocks and recipes, please visit MalisisSwitches thread on Minecraftforum.net. Please for the love of god. Let the switches be activated by a redstone signal or make a manual that explains how greenstone works. I just want to have all my frickin' lights work with a daylight sensor. Do you update the mod to work with Optifine render regions and the newer Sponge versions? Please provide full log (post it on pastebin). Yes, there is a log. I'm not talking about a crash report. I'm talking about the fml-client-latest.log. I also have this exact same issue. Will this mod be available for 1.12.2? MalisisSwitches 5.0.0 is compatible with MalisisCore 6.1.7??? Honestly, Ordinastie, your Mods are a must have on any server I run! I love all your mods been using them in my modpacks for a long time. 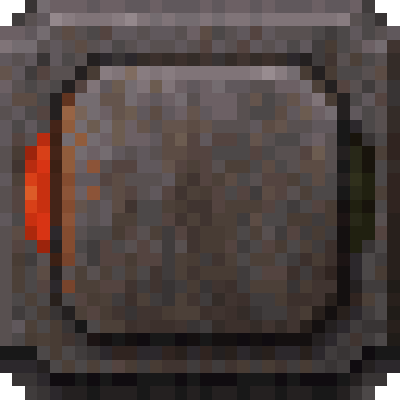 I don't think people realize that this mod adds a wireless red stone "green stone" that works better than any wireless redstone. I just wish that there was a lot more switches. thanks again for all your great mods. I love lots of your projects i would like to meet you in person. i also like the door on malisisdoors really good mod. Please can you make it possible to use buttons and levers in 1.8? I am trying to make a FNAF map for me and I need the buttons for a generator. Thank Thank Thank Thank Thank Thank Thank Thank Thank you!